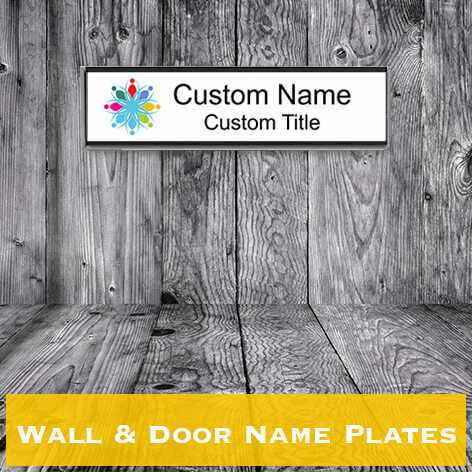 Name Plates, Custom Office Name Plaques - Ships Next Day! Most office settings combine name tags and nameplates to identify staff members at and away from their work stations. At Name Tag Wizard, we provide quality engraving and full color printing on professional office nameplates. Choose from several material colors, holder colors and sizes. We offer full color customization on aluminum and brass nameplates, and engraving and full color on plastic nameplates. 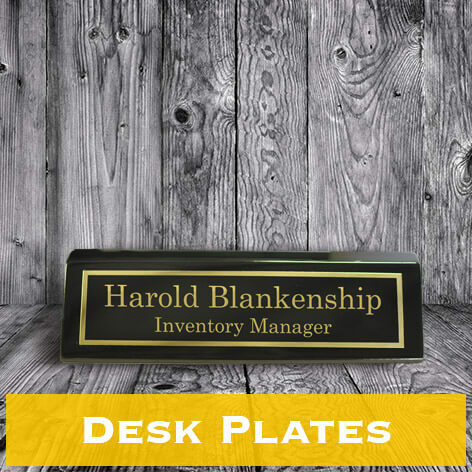 Our desk name plates can be customized with your company logo along with a name and job title. We also offer wall and cubicle name plates that personalize each employee's work space. 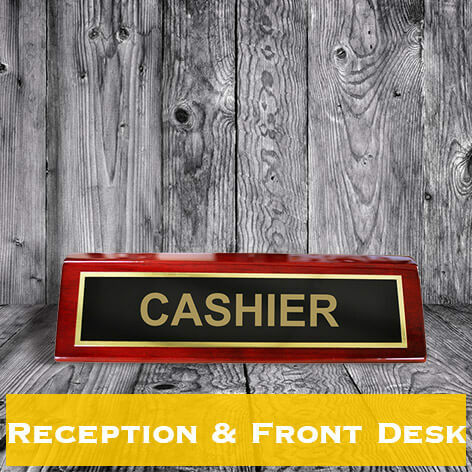 Name plates help employees get to know each other and makes each staff member feel important. They also help visitors easily identify their point of contact for business meetings and other events. Keep your office professional by ordering custom name plates for each desk or cubicle. 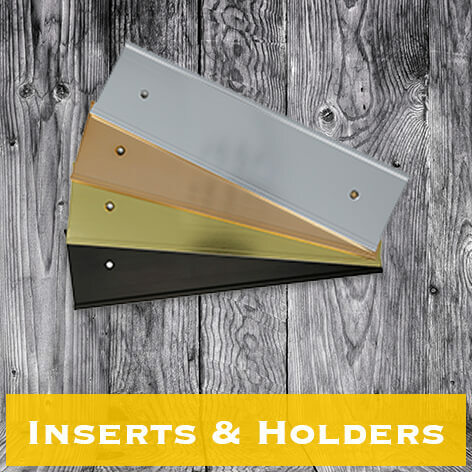 Our mounting options for wall and door name plates include cubicle pins, adhesive tape, magnetic tape and Velcro. You can order office name plates to your exact specifications. Our full color plates can include any colors you want, along with a full color logo. Our engraved name plates will feature 2 colors, which will consist of the background color and the color underneath the engraved surface. Each choice offers a cohesive look for your office and will identify each staff member in a professional way. You can even order name plates to match the look of your custom name tags. We ship most orders next business day from NameTagWizard.com!